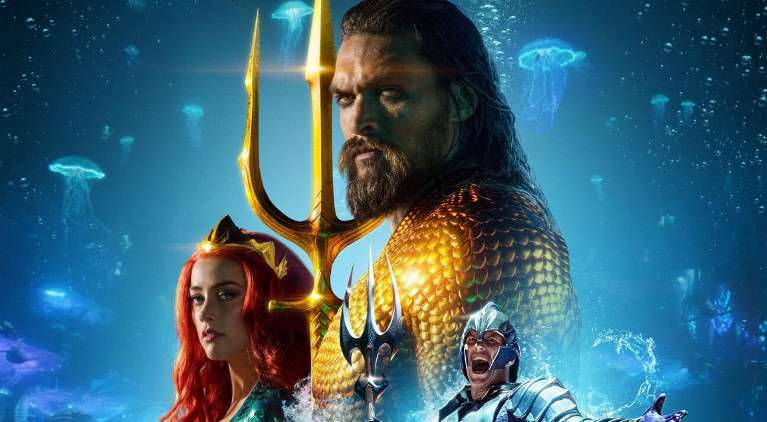 Aquaman is acclaimed by critics and audience, with some placing it above even Wonder Woman which untill now was claimed to be DCEU’s best entry. BoxOfficeMOJO has the numbers and the film has grossed $266,400,000 in 10 days since its premiere in China, followed by other markets during the time. It managed to receive a score of 70% from critics and 96% from audience on Rotten Tomatoes. However it has a long way to beat Wonder Woman‘s success and take the throne as DC’s most successful entry. The Gal Gadot flick earned $409,283,604 at the foreign box office and $412,563,408 in US. Lifetime worldwide totals stads at $821,847,012. It still has to premiere in big markets such as France (December 19), Germany (December 20) and US (December 21). Have you seen the movie yet? This entry was posted in Movies and TV, Superheroes and tagged #DC, aquaman, blockbuster, dceu, film, filmer, jason momoa, movies, Superheroes. Bookmark the permalink.